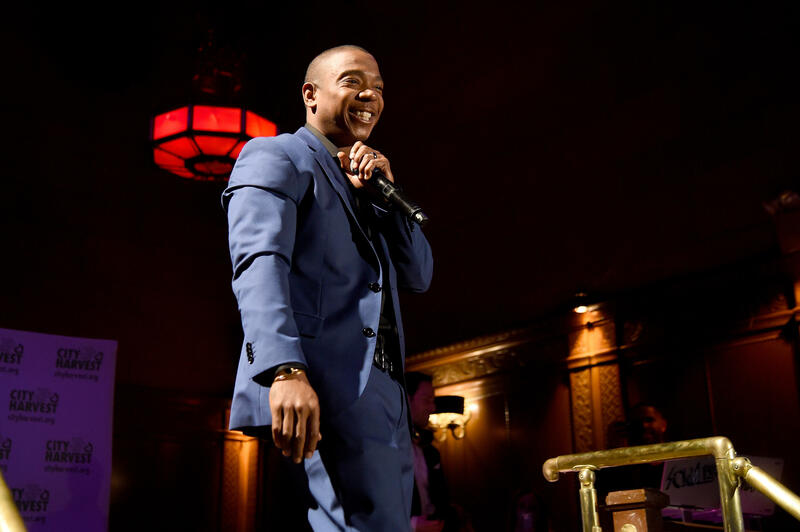 Ja Rule says he's done bickering with his nemesis, Ja Rule -- after he gets in one final jab, that is. In a now-deleted Instagram post, Ja posted a photo of 50 Cent smiling with President Trump and wrote a scathing, expletive-filled caption to match. He slammed 50 Cent for not using his fame to uplift others or urge people to vote. He wrote, "This will be my last post about @50cent and I wanna be serious for second and just say me and this man went back and forth yesterday like school kids... But not once did I see him use his platform of 20 million followers for ANYTHING uplifting I'm sure he didn't vote didn't encourage anyone to vote." Ja Rule claimed that 50 Cent was guilty of "only Tom f**king foolery tearing down other ppl of color." He said that 50 Cent instead spends time talking trash about others, and asked fans, "let's STOP supporting ppl who don't support their own." He seemed to hint that 50 Cent was a traitor for taking a photo with Mr. Trump and called him a "boot-licking" racial epithet. Ja Rule and 50 Cent, who both hail from Queens, have been at odds since the 1990s, but their feud was reignited recently after 50 Cent announced in October on Instagram that he was buying 200 front-row tickets to a Ja Rule concert on Groupon, just to keep them empty. 50 Cent wrote on Instagram that he spent "3 bands," or $3,000, on 200 tickets, priced at $15 each on the discount site Groupon. Billboard reported that the tickets were to Ja Rule's Nov. 9 concert in Arlington, Texas, so it's yet to be seen how empty the venue will look.